On October 4, 1957, the Soviet Union shocked the western world by announcing the first successful launch of an artificial satellite orbiting the earth – Sputnik 1. The 1950’s were politically difficult times for the United States and the Soviet Union. In 1952, the International Council of Scientific Unions declared the time lasting from July 1, 1957 to December 31, 1958 as the International Geophysical Year due to high solar activity in that period. Also they were calling for artificial satellites during the year in order to map Earth’s surface.Both countries took these news seriously and were aware of the importance to take a leading position concerning space technology. Nonetheless, it was the time of the Cold War. The actual plans for the Sputnik 1 mission began in 1954. It was clear that an artificial satellite must be constructed in order to succeed in further research on rockets and to make interplanetary communication possible for the future. The first drafts and tasks concerning the satellite were completed in July 1956 and only one year later, Sputnik was about to launch with the help of an R-7 rocket, an advanced version of the A4 built by the Germans during World War II. As became known much later in the West, originally a research satellite called Object D (later known as Sputnik 3) with extensive scientific equipment and a weight of about 1300 kilograms was to make the start. 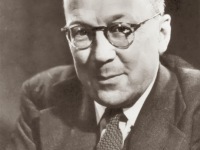 Its development can be traced back to a report on artificial earth satellites that soon to be leading Soviet rocket engineer Sergei Korolev submitted to the then Defence Minister Dmitri Ustinov on 26 May 1954. The actual plans come from a friend of Korolev’s, Mikhail Tikhonrawov, who had already been working on the possibility of an earth satellite since 1947 and was able to get Korolyov enthusiastic about it at an early stage. 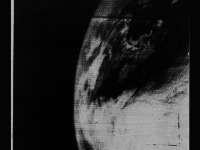 However, they managed to obtain permission to build the satellite on January 30, 1956. Unfortunately its development as a purely civilian project progressed only slowly, since it was classified as unimportant by influential government and military authorities, even though Nikita Khrushchev was not averse to the project. In addition, the rocket available at that time was not yet powerful enough to carry a satellite of this mass into space. The announcement of Eisenhower in 1955 and the launch of a Jupiter-C on 20 September 1956, however, led Korolev to suspect that the Americans could beat him to it. So he suggested the construction of two simple satellites (PS 1 and PS 2, prostoi sputnik = simple satellite) as a temporary solution, which was approved by the responsible authorities. After only a few weeks of development and construction time under the personal supervision of Korolev, the satellites were ready. 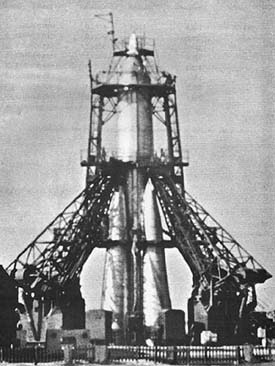 The launch of PS 1 was scheduled for October 6, 1957, but was brought forward by two days (again due to Korolev’s fears that the Americans might be ahead of him). This Sputnik – later a synonym for all Soviet satellites, including the Kosmos series and other “Sputniks” – weighed 83.6 kilograms and thus five times more than the US Explorer 1 of 31 January 1958 and had the shape of a sphere with a diameter of 58 cm, after a Korolev initially submitted cylindrical design was rejected by the chief designer Khomyakov – he demanded a planetary-like appearance. The launch of Sputnik strongly changed the foreign affairs between the United States and the Soviet Union, the Space Race had officially started and led to America approving a huge funding to push the country’s technical development. It was feared that the Soviets would now be able to launch missiles carrying nuclear weapons from Europe to America. But the Soviet Union could succeed again in November when they launched Sputnik 2, which was also special due to the fact, that it carried the first living animal on a spacecraft – a dog named Laika. The Unites States were able to finally launch Explorer I in 1958, carrying a small scientific payload and helping to prove the magnetic radiation belts around the Earth, named after James van Allen. This helped the U.S. not to lose grip on the Race, which was to continue until the mid-1970’s. However, the launch of Sputnik 1 put the American citizens and politicians into shock, due to the Soviet’s surprising and technically astonishing achievement. During its mission, Sputnik was next to its important political purpose also able perform some scientific tasks. For 3 months the satellite was orbiting around the Earth and travelled 60 million km before burning up and reentering Earth’s atmosphere in January 1958. 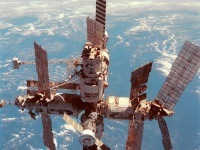 At yovisto academic video search you may enjoy a video by Dr. James Oberg talking about the ‘Russian Space Program’.